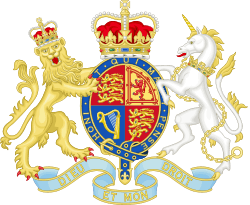 The judiciary of the United Kingdom are the separate judiciaries of the three legal systems in England and Wales, Northern Ireland and Scotland. However, the judges of the Supreme Court of the United Kingdom, the Special Immigration Appeals Commission, Employment Tribunals, Employment Appeal Tribunal and the UK tribunals system do have a United Kingdom-wide jurisdiction. The judges of the Supreme Court of the United Kingdom are known as Justices of the Supreme Court, and they are also Privy Counsellors. Justices of the Supreme Court are granted the courtesy title Lord or Lady for life. The Supreme Court is a relatively new Court being established in October 2009 following the Constitutional Reform Act 2005. Formerly, the Highest Court of Appeal in the United Kingdom was the House of Lords Appellate Committee made up of Lords of Appeal in Ordinary, also known as Law Lords, which with other Lord Justices now form the Supreme Court. Such Law Lords were allowed to sit in the House of Lords and were members for life. The Supreme Court is headed by the President and Deputy President of the Supreme Court and is composed of a further ten Justices of the Supreme Court. The Justices do not wear any gowns or wigs in court, but on ceremonial occasions they wear black damask gowns with gold lace without a wig. The UK tribunal system is part of the national system of administrative justice with tribunals classed as non-departmental public bodies (NDPBs). Though it has grown up on an ad hoc basis since the beginning of the twentieth century, from 2007 reforms were put in place to build a unified system with recognised judicial authority, routes of appeal and regulatory supervision, and recognised legally qualified members of tribunals as members of the judiciary who are guaranteed continued judicial independence. The UK tribunal system is headed by the Senior President of Tribunals. ↑ "Press release: Courtesy titles for Justices of the Supreme Court" (PDF). Supreme Court of the United Kingdom. 13 December 2010. Retrieved 18 February 2011. ↑ "Part 1, Tribunals, Courts and Enforcement Act 2007". Acts of the Parliament of the United Kingdom 2007 c.15. 2007-07-19. Retrieved 2011-02-14. "Britannica Student Encyclopedia - The Judiciary". Retrieved 2007-08-09.